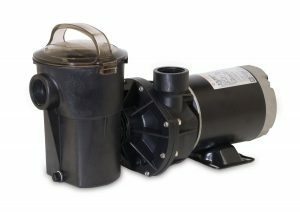 Designed with varying amounts of horsepower to better serve your pool needs, this high-performance pool pump can be used for both in-ground and above ground pools effectively. 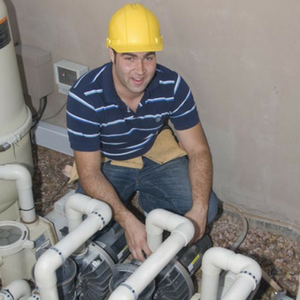 If you have different types of pools, you are probably faced with the problem of having to find a pool pump that can efficiently serve both needs. Well, you need not search anymore as this pump has been designed to work at optimum levels in both types of pools, saving you money in the long run as you will only need one pump. With this kind of pump, the manufacturer has come up with two levels of horsepower: 1 and 1.5. Thus, no matter how big or small your pool or spa is, this pump has got you covered at a low cost. A highly efficient motor is used to operate the pump. Air vents are used to provide the motor with the cooling necessary to ensure that the motor does not overheat during operation. The motor is housed with a thermoplastic material which is resistant to corrosion and this makes it perfect for use under all weather conditions as the housing is resistant to wear and tear. A double sized seal is used to enclose the motor and this seal is completely drip proof which ensures that no moisture can get to the motor, and this prevents the motor from coming into contact with water and getting damaged. The seal is also heat resistant and this gives the motor a long life and this means that you can sit back and relax without worrying about expenses to be incurred in future in terms of replacing the motor. A thermal load protector has been used in the design and it works by automatically shutting down the motor’s operations where the motor runs a risk of overheating. You will not need to turn the motor on after the motor cools down as the thermal load protector will ensure that the motor resumes operations after the risk is gone. The motor runs while producing little noise such that you can enjoy being in the outdoors even as the pump operates. The pump operates at optimum levels, which enhances energy consumption to allow a little energy to go a long way into operation. In this way, you will end up using much less on running costs. A large basket is used to collect the debris accumulated from the pool and this leads to less need for frequent maintenance. A see through lid is used to cover the strainer which makes monitoring of the level of debris easy.